Most companies sacrifice performance for cosmetics or vice versa, not Klipsch. 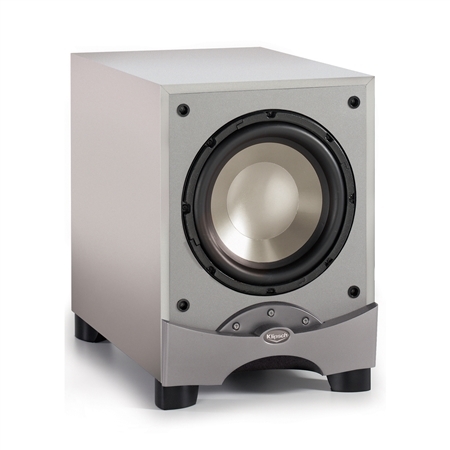 The Reference Series RW-10 subwoofer has a sophisticated appearance and uses a unique technology to produce a deeper, louder bass that out-drives larger competitive subs. The RW-10 is availble in 120 and 230 volt versions and allows audiophiles to create complete Reference systems at affordable price points. 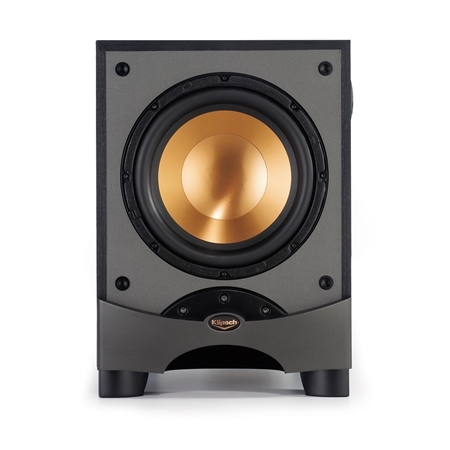 The RW-10 approaches the quality and flexibility of Klipsch's top-of-the-line RSW models at lower prices. The driving force behind this price and performance breakthrough is Klipsch's exclusive Corner Port™ Technology. This new technology allows the port tube to be as long as possible without bending, minimizing turbulence that can cause port noise and distortion. It also allows the enclosure to be tuned to a lower frequency than would otherwise be possible to create deeper bass from a smaller cabinet. Another important element is a corner-shaped flange at the port's internal opening, which amplifies the benefits of the longer port. This performance enhancing technology is only available from Klipsch. The 10-inch woofer still features Klipsch's distinctive, copper-colored Cerametallic™ cone but is now made with an anodized aluminum, making it harder and more dent resistant than ever. The anodizing process converts its inner and outer surface to ceramic. The result is a rigid cone with superb damping characteristics that will not flex or resonate. A giant magnet and high-temperature, long-excursion voice coil ensure efficient, reliable operation and, in combination with the mechanical characteristics of the cones, exceptionally low distortion. The RW-10 gets its intensity from a newly designed amplifier that delivers 260-watts continuously (FTC rated), but more importantly, 575-watts of dynamic power - the punch that makes the subwoofer come to life. A continuously variable phase control facilitates ideal acoustical integration of the subwoofer with the other speakers in the system. This variable phase control is not found on many subwoofers; especially models in this price range, but it will increase bass response when properly adjusted. The easy-to-reach, side-mounted volume control is another unique feature that makes both set-up and on-the-fly adjustments easier than conventional back-panel mounted volume controls. All of this performance is incorporated into a front-firing, front-ported design that makes installation into custom cabinetry simple. The RW-10 is available in a contemporary black wood grain vinyl or a silver finish with a sculpted front panel and grille that lends an elegant appearance to any home. While no longer in production, the RW-10 is still owned and listened to by Klipsch fans around the world. To connect with other people who are passionate about audio and interested in Klipsch products, visit our open forum bulletin board.